"Advancing the Lighting industries to serve the army"
Night Vision & Electro-Optics India Conference & Exhibition is an expo featuring the lighting and night vision lighting industries. The event aims at serving the army, by featuring latest and most innovative night vision lighting and gadgets. The exhibitors from different parts of the world gather around and display their unique creations and devices. 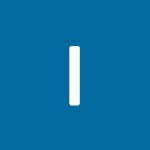 The product varieties range from night vision devices, fire control systems, IR technology and NVD evaluation. This is a must attend event for all event management agencies and party planners. The exhibitors also get a chance to showcase their talents and learn from professionals. This event helps in establishing contacts with potential clients and dealers. Very well organised, I look forward to interact with more designers & OEM in future. 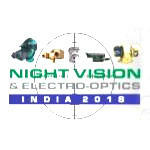 The exhibitors of Night Vision India Conference and Exhibition will exhibit the latest products and services including night vision devices, thermal imaging and fire control systems, night vision lighting technology, IR technology, Image intensification, information fusion, electro optics, software engineering, systems integration and NVD evaluation.